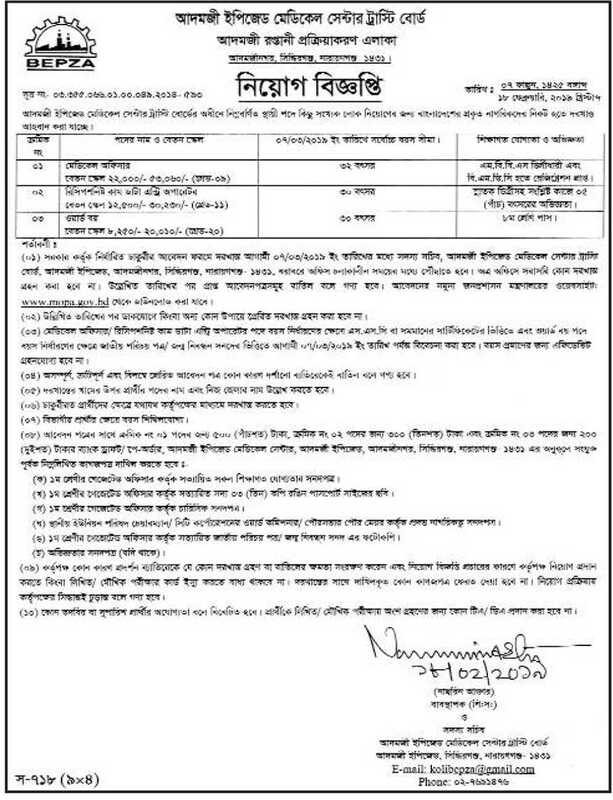 Bangladesh export processing zone authority job circular 2019 has been published. It’s an attractive job circular. It’s an important job Circular to unemployed people. Most of the unemployed people, they can not get a good job. This job circular bring out a good news for the unemployed graduate people. So,we can say that this job circular is too much important. Bangladesh export processing zone authority job circular 2019 are contains many category. Many of this posts are honorable. Anyone can build his future to join this job. It’s a great opportunity to unemployed people. If you want to apply for this job,you should submit your application within 07 March 2019. To get Bangladesh export processing zone authority job circular 2019 related all information, you can visit our website that is jobs.lekhaporabd.com. Many job circular are available here. Our goal is to provide accurate information. Bangladesh export processing zone authority job circular 2019 has been given bellow. Educational Qualification : Please See the job circular . Hi, I’m Rashed. My academic qualification is hon’s. Department of physics. Now i’m in savar,dhaka. I want a job in DEPZ. If any person here to help me, please contact with me. My phone no- 01703-377579. May allah bless you. Thanks. Govt. Polytechnic theke cse te diploma complete but Certificate ase nai epz er job a ki apply kra jabe..please janaben.